What is this tall perennial (?) with pink flowers? We just moved to a new location & I don't know what this plant is. It's 4-5 feet tall and seems to be a perennial. It's on the east side of my home and bloomed mid-late July. I have more photos if needed. I believe that is it. Thanks so much! I agree, it's definitely swamp milkweed. I would keep it if I were you. 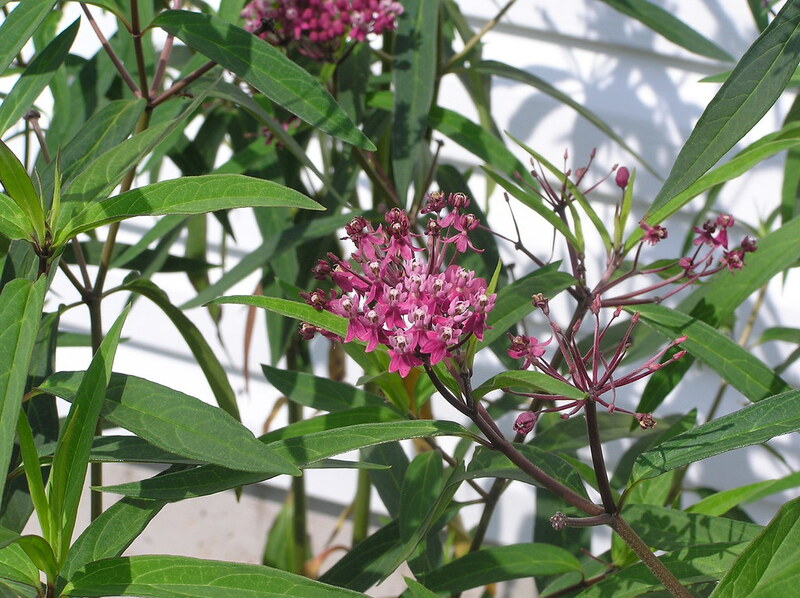 It attracts butterflies and provides a host plant for monarch larva. Thanks so much! You've both been very helpful.